The recent flooding in Ottawa, Gatineau, Laval and other places brought four main issues to the fore. First, is the matter of buying out homeowners located in the floodway, the 1 in 20 flood plain. Second, is the need to have a centralized federal or, at the very least, respective senior provincial bodies to coordinate flood management in a holistic manner. Third, involves the production of up-to-date flood maps that are easily accessible by private property owners, the insurance industry, land developers and others. And fourth is the need to create a formal mechanism through which homeowners and potential home buyers can be informed of their level of flood risk. In the following, I will deal only with the latter. 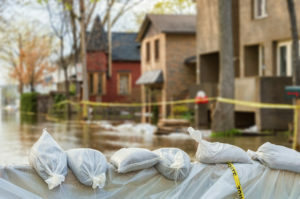 In Canada there is currently no mechanism through which homeowners or potential home buyers can determine whether their properties have flooded in the past or are at risk of flooding in the future. First, as has been discussed many times, both in my blogs and in other places, there exists a real dog’s breakfast of flood maps in Canada, with maps being created with no standard methodology, being of various vintages and having differing degrees of accessibility ranging from easy to obtain to almost impossible. On top of this, even if an individual does manage to get their hands on a flood map, the question would then be whether they could read and understand it. Second, there is ‘conventional wisdom’ – largely held by local politicians – that designating a property or neighbourhood as at-risk of flooding causes property values to plummet. Hence, many politicians view flood maps and disclosure of flood risk as political nitroglycerine. In reality, the research connecting flood risk disclosure to property value is not all that clear. According to the overview, “Results of studies comparing the effects of floods and flood hazard disclosures on property values are contradictory, ranging from negative to positive effects on property values.” The author cautions that the magnitude, physical extent and timing of the effects very greatly depending on the way that individual studies are structured and a host of factors that contribute to how property values are calculated, among other issues. I believe if we are to get anywhere on this file, we first have to convince politicians, property owners and others that disclosing flood risk likely would have little to no negative impact on property values, while experiencing a flood would likely have a significant negative impact. One possible solution to the issue of transparency is to require mandatory disclosure of flood risk when a home is changing hands (i.e. at time of sale). At present, no jurisdiction in Canada requires such disclosure prior to the transfer of a residential property, but some argue that a potential framework to make this happen is already in place. In Ontario, sellers of a home may choose to make available to a buyer a voluntary Seller Property Information Statement (SPIS). Alternatively, a buyer can make his or her offer conditional on a favourable SPIS (though in today’s hot real estate markets buyers are often not even able to make a deal conditional on a basic home inspection let alone a SPIS). The SPIS, however, has been roundly criticized by real estate lawyers and others as being too unwieldy and complicated for typical home sellers to fill out without the help of several experts, and too open-ended, exposing the seller to unreasonable amounts of liability long after the deal has been closed. At present, the SPIS (Form 220 from the Ontario Real Estate Association) is made up of 22 ‘General’ questions (asking such things as the date of the property survey and whether there are any pending developments, projects or applications for rezoning in the neighbourhood); nine ‘Environmental’ questions, and 18 ‘Improvements and Structural’ questions. But some experts maintain the SPIS causes more problems than it prevents. When looking at the SPIS specifically in relation to flood risk, there are a few problem areas or weaknesses which indicate that it wouldn’t be the best tool to use to require mandatory disclosure of flood risk. First, in its current form, the SPIS simply asks if the property is “subject to flooding” with possible answers including ‘Yes’, ‘No’, ‘Unknown’ or ‘Not applicable’. The form does not differentiate between the different causes of flooding and does not ask if a home’s basement has ever flooded or if the sewer has ever backed up. Further, nowhere does the form ask if the home is on a regulatory flood plain. Second, because of the large number of questions on various topics, any focus on flooding gets lost in the shuffle. Perhaps a better alternative is to require that exposure to risk be disclosed in a simple document that deals with nothing but natural perils. This is done in California. Under the state’s Natural Hazard Disclosure Law, the seller or transferor of a residential property or his/her agent must disclose whether a property is within a flood, wildfire or earthquake/seismic hazard zone. The law applies whether the seller/transferor has personal knowledge of the risk or whether the local jurisdiction has deemed a property to be at particular risk. Disclosure requires that a formal document be filled out and made available to the buyer “as soon as practicable before transfer of title”. Similar legislation in Canada could be reinforced if lending institutions required a formal natural hazard disclosure before issuing a mortgage, and insurers could require such a disclosure before providing coverage. What’s more, such legislation could work to motivate governments to ensure that flood and other hazard maps and information are up-to-date and easily accessible to the public. If a government can implement such a disclosure law in California there is no reason we can’t do it here. We can – and must – get beyond the ‘conventional wisdom’ on flood risk and move towards greater transparency.